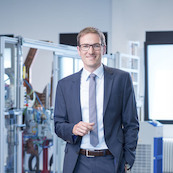 The best-case presentation demonstrates how a much-hyped issue can be made comprehensible to anyone dealing with Industry 4.0 solutions, thanks to a powerful message. The challenge in this case is that many operators are operating machinery that is not yet at the end of its service life. Will the I4.0 train pass these by without stopping? SMC says no. Christian Ziegler talks about Industry 4.0, or to be precise about communication, because that is the primary factor behind the buzzword. In the presentation you will see how we put it into practice in collaboration with other companies and created a common solution from it. You will also see how with partnerships existing systems can be transferred to the cloud with some simple sensors.